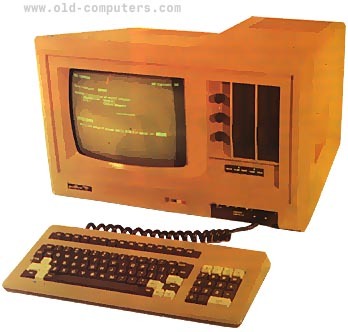 This is a french professionnal computer which had no success. It was sold with two 5''1/4 floppy-drives (40 tracks, 360k each) but, could be replaced by 80 tracks ones. A Winchester 5''1/4 hard disk (5 or 10 Mb) can be connected with a special interface, as well as two external 8" floppy disk-drives. It also has a built-in battery (1 hour long) and a real-time clock built-in. see more HBN Computeur Le Guepard Ebay auctions !